Bad habits. If you’re human, you’ve probably got some! Indulging in a bad habit regularly will negatively impact your productivity, health and happiness over time. So, how to break the cycle? 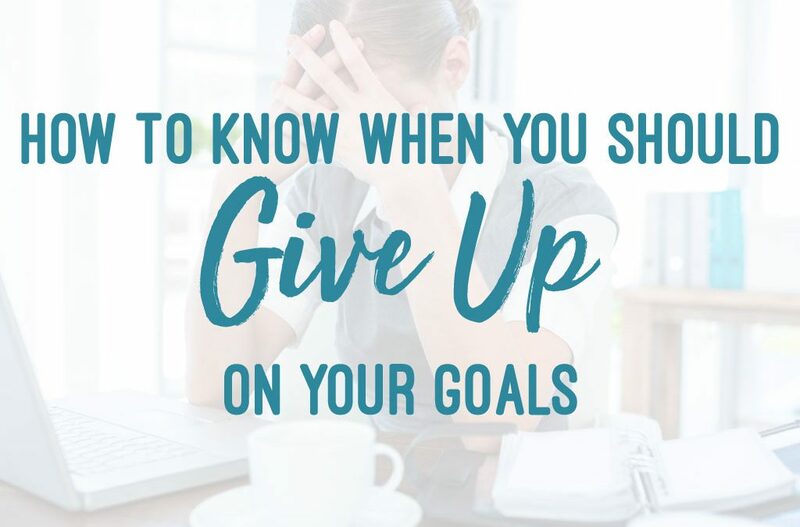 Check out my 4 simple tips for breaking a bad habit that doesn’t serve you and replacing it with an amazing one that does. 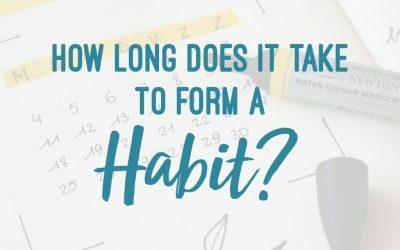 Ok, you know what your bad habit is, but do you know why it’s happening? Stress, for example, is a common trigger for bad habits. If you’ve had an epic day at work and you’re about ready to tear your hair out, you’re primed to dive into the couch potato zone habit as soon as you get home. Walking through the door, plonking yourself down in front of the TV and doing nothing for hours has been triggered by the stress. Get clear on the emotional state or situations that trigger the habit. This gives you the opportunity to cut it off before it starts. If stress is triggering your couch potato habit, find a way to destress on the commute home – listen to a podcast, read or play some music. By the time you walk through the door, your emotional state has changed. You’ve chilled out and don’t feel the need to make the couch your home for the next three hours. Habits, both good and bad, are like trenches we dig in our minds. The more we do the habit, the deeper the trench becomes and the easier the habit becomes. When the trench is deep; the habit is super engrained; our brain doesn’t have to think hard about doing it. It happens almost on autopilot. By replacing a bad habit with a good one, we begin to dig another trench. If you’re trying to kick the smoking habit; every time you have a craving; rather than reach for a cigarette, take a 10 minute walk outside or drink a big glass of water. If you’re struggling to break a bad habit, make it really hard to do. As an example, a bad habit most of us have from time to time is hitting the snooze button…again..and again…and again. Make this bad habit harder to do by putting your alarm clock or phone (if you use it to set your alarm) on the other side of the room. Not your bedside table. Now you can’t just reach out and slap the ol’ snooze button. You need to physically get up, out of bed to turn the alarm off. Surprise! The hard part of getting out of bed is over and done with. Why go back?! Or, if you’re in the habit of plonking down in front of the TV as soon as you get home, take the batteries out of the remote and hide them from yourself. Having to hunt around and remember where you put them derails the automation of the habit. We’re pulling out the big, kinda crazy guns for this last habit breaker. If you’ve tried the tips above but still just can’t shake the bad habit, try scrambling your brain. Remember the trenches we talked about? The deeper they get the easier the habit becomes for your brain to do on autopilot. The bad habit becomes like a superhighway zipping, through your mind, nothing blocking its path. By doing something crazy, you’ll short-circuit it. Here’s how it works; if you’re still trying to kick the smoking habit, for example, next time you go for a cigarette, make a crazy noise or action. Like yelling arggggggghhhhh really loudly, or something totally strange! Your brain gets confused, the superhighway to the habit has been disrupted, you’ve begun to block the ‘easy’ path for the habit to run along. 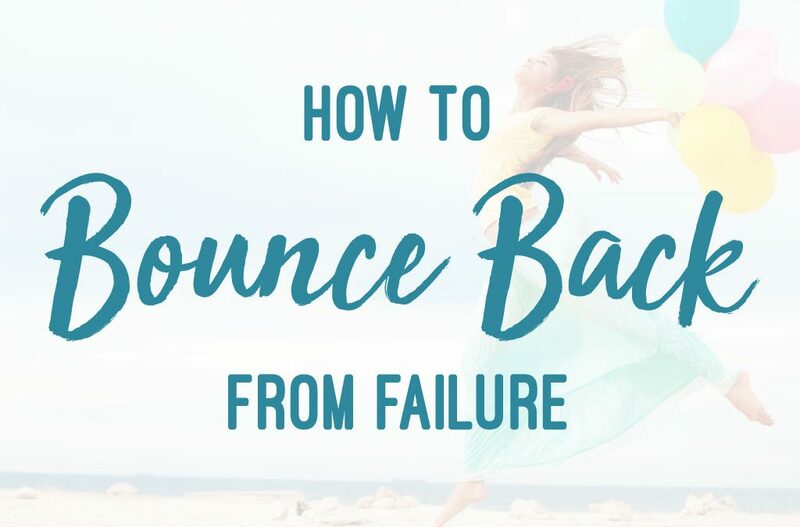 It sounds crazy but this is a seriously powerful tool to retrain your brain and break habitual patterns. 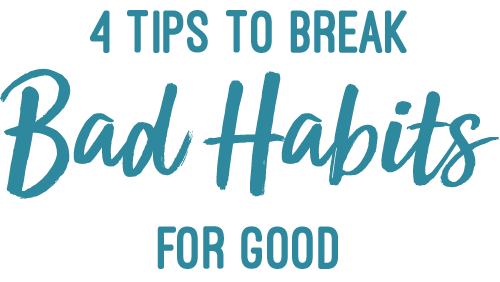 So there you have it, 4 super actionable tips to breaking a bad habit! 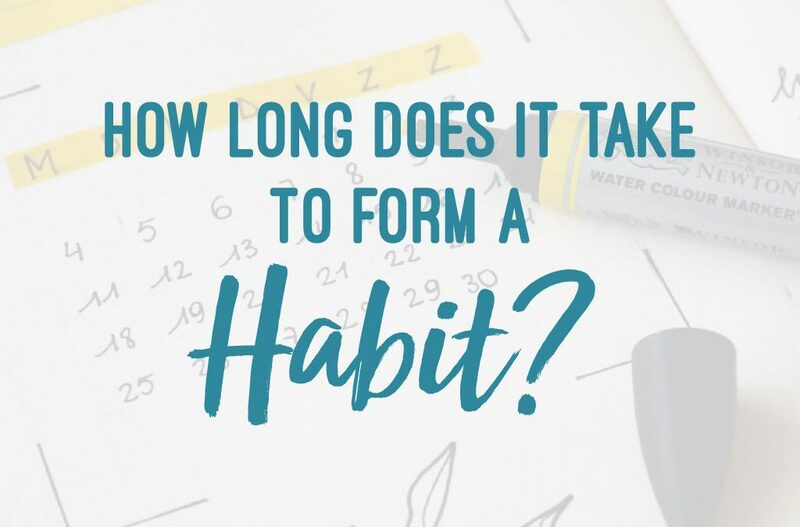 Start working on putting a bad habit to bed today and pretty soon you’ll have not only busted it but replaced it with an amazingly positive, healthy habit. 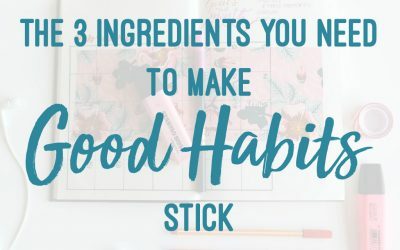 Making good habits stick can be tough…. but not if you understand the power of the Habit Loop and Habit Stacking. 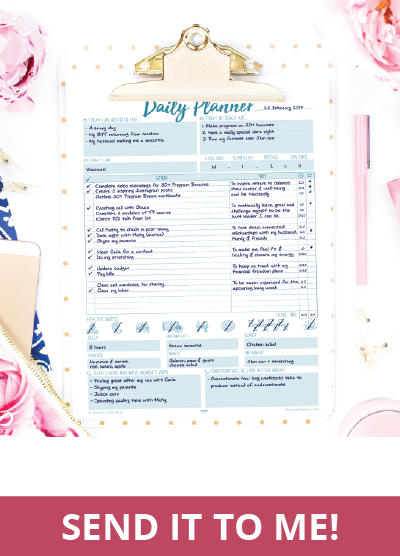 These 2 tools will help transform positive lifestyle changes into rock solid habits.